Last week, the Archives of Internal Medicine published a commentary advocating more government regulation of dietary supplements. Dietary supplements refer to non-vitamin, non-mineral products such as herbals. The market for these products has steadily risen over the years and, in 2007, it was a $14.8 billion industry. Such a large industry has given rise to a very wide array of supplement manufacturers. Since there are so many players in the industry, it is important that an expert sift through the data, publications, and advertisements so that the consumer isn’t tricked into buying a vitamin, mineral, or supplement that doesn’t really work. While the authors of the commentary think the FDA should hyper-regulate the industry, I think a more efficient method would be for people to consult with their doctor before buying supplements. There are many advertisements by supplement manufacturers toting unrealistic claims of increased energy, weight loss, healthier brains, etc. if you take their pill. To most people (myself included) these claims seem intriguing and highly plausible. When you actually read the experiments and studies however, the claims actually aren’t as strong as the supplement company wishes. Some of the products that supplement producers make are even downright harmful. Take for example, DMAA (1,3-dimethylamylamine), which athletes use to boost performance. It is sold as an herbal supplement because one study showed that it is found naturally in plants. The tricky part is, this study is not scientifically valid! When experts like chemists or doctors look at the experiment, they’ll see that the authors didn’t publish their precise methodology and the gas chromatograph results (used to prove a chemical’s presence in a plant) don’t necessarily match with DMAA. The point is, DMAA probably isn’t found in nature. It’s really just an artificial amphetamine that may cause serious adverse affects such as seizures and death. While more FDA regulation may prevent supplements like this from entering the marketplace, it will probably do more harm than good by putting supplement manufacturers out of business and raising the cost of vitamins. 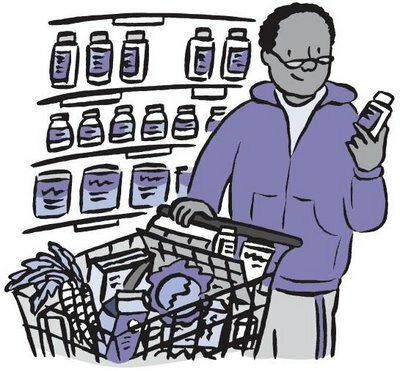 It still is important for consumers to know what they’re getting into when they buy supplements. The free market has already met this goal. There are vitamin companies like Pure Encapsulations which will provide their customers (upon request) with third party lab reports and tests that scientifically prove the purity of their supplements. If consumers buy from reputable manufacturers like this and consult with their doctor about the actual health benefits of certain supplements, they will effectively use dietary supplements. It’s important to take nutrition and supplements seriously. A healthy body starts with healthy food and supplement choices. These choices should be considered carefully and be made by the customer with his/her doctor’s support.